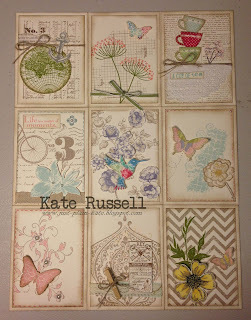 I used all my Stampin' Up! products, some of my new products & a few retired. 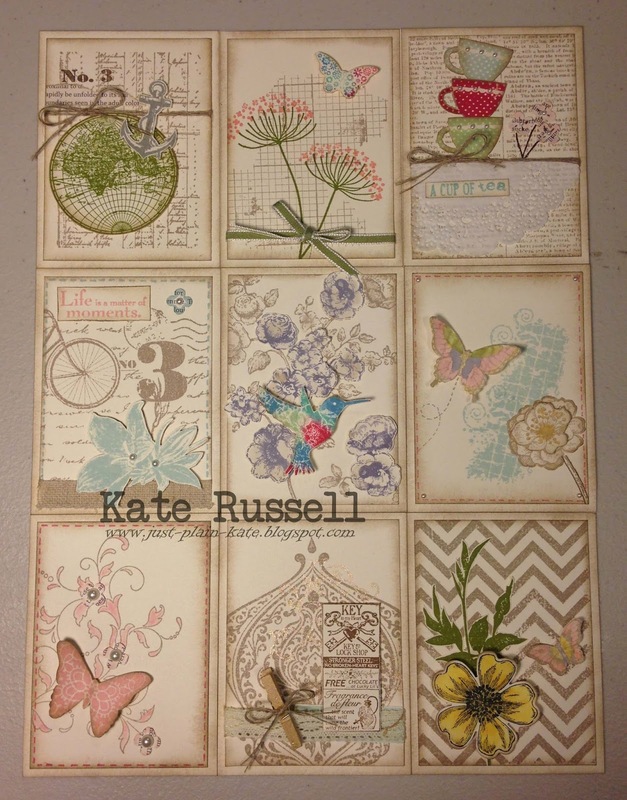 Stamp sets I used - The Open Sea, Summer Silhouettes, Tea Shoppe, Postage, Elements of Style, Clockworks, Creative Elements, Papillion Potpourri, Off the grid, Beautifully Baroque, Positively Chevron, & Flower Shop, all using Very Vanilla card stock, sponged with Crumb Cake.